The reactions to a big data breach often resemble the five stages of grief, so a little empathy is needed. Many of the big data breaches over the past few years can be traced back to things such as stolen laptops and flash drives or compromised end-user accounts that get leveraged for horizontal movement inside the organization. Sometimes permissions on Internet-accessible systems are left wide open by accident or security patches didn't get applied in time, leaving the system vulnerable to attack. But in virtually every case, there is an individual or small group of individuals whose action or inaction can be directly linked to the data breach. There are the organizational users, who get tricked into opening a malicious attachment or clicking on a bad link, and either have their passwords stolen or their computers compromised. But there are also the IT professionals who maintain servers and other computing infrastructure — the sysadmins, Web developers, or even the office managers who are put in charge of "making sure things get patched" under the rubric of "other duties as assigned" on their job description. If they make a mistake or fall behind on their work, the organizational consequences can be disastrous. The speed at which technology evolves is a big challenge for those who are charged with defending networks and the information for which they provide access. As security professionals, it's our job to keep track of every emerging technology and analyze almost in real time how it could affect the security of the enterprise. This is made more difficult because attackers have become more sophisticated. This is especially true when we look at nation-state actors. Unlike some "smash-and-grab" cybercriminals, who have profit and speed as their motivators, many of the advanced persistent threat actors are playing the long game. They will quietly compromise systems and build up "wartime reserves" for a later attack, all while being careful to keep associated "noise" to a minimum in order to avoid detection. The performance of sysadmins is typically measured by how well they keep systems up and running. Anything that interferes with that mission will likely be met with pushback. If security measures are simply dictated by information security professionals and are perceived by sysadmins as overly prescriptive, they run the risk of getting ignored or deprioritized. By showing a bit of empathy for the demanding job a sysadmin has, security professionals can bridge that gap and form a working partnership between the two groups. This is critical, since even as we fortify networks and systems, the sysadmins remain a preferred target of the adversary, who wants to leverage a sysadmin's access to do harm. During my time as a frontline security engineer, forensic investigator, assistant director, and later director and associate chief information security officer for a top-tier U.S. research institution, I have led countless institutional incident response efforts. In my experience, most people who my team and I encountered during an investigation cared very much about their work and their organization's data. Once we would notify them of a likely compromise and potential data breach, their reactions would almost always follow the Kübler-Ross model of grief. Their initial response would be denial — clearly, we must be wrong, as there "is no way the system was actually compromised." Then there would be some amount of anger, usually from a supervisor: "How could you let this happen?" "Who didn't do their job?" Next, the bargaining would set in: "Maybe the bad guys didn't steal any data." "Maybe we got lucky?" Sadly, that wishful thinking hardly ever panned out. Once we concluded our investigation and presented a report of what exactly happened, people would reach the depression stage and start to worry about whether they'd get fired. By helping them work through these "data breach grief stages," we were often able to let them reach acceptance, which is a key step toward recovering from a compromise, picking up the pieces, and making sure it doesn't happen again. In my many years of incident management, I can recall only one or two instances where the individuals who caused the data breach refused to accept any responsibility at all. Most of them were distraught about the compromise and felt awful that it happened. This is an important point that often gets missed in any public debate of an incident. When the word of a big data breach gets out, the media is typically quick to blame it on the alleged carelessness or even negligence of the organization that got hacked. This makes for juicy headlines that generate clicks, and because it's hard to confront a faceless hacker, victims who had their personal data stolen prefer to focus their anger on the organization that "allowed" their data to be stolen. Once the dust has settled, sometimes there's no denying that an organization acted irresponsibly. But in an age of highly sophisticated attack methodologies and weaponized zero-day exploits, even a fully patched and secured system may be no match for a motivated attacker. This often leaves the people charged with securing the critical systems outgunned and getting blamed even if they did everything within their power to do the right thing. Here's the good news: Security professionals across all sectors of industry are starting to realize that being empathetic with their constituents in times of crisis goes a lot further than coming down hard on anybody who falls victim to a scam or opens a malicious attachment on their work computer. The security business is a people business, and the need for empathy in this industry has never been greater. 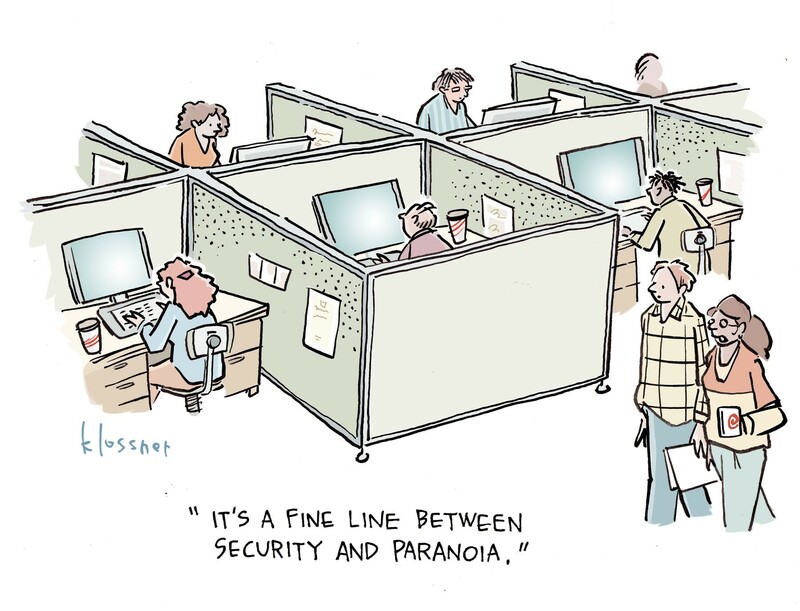 Security professionals alone can't protect an organization. They must partner with the organization's end users and sysadmins, who are often the targets of today's cyber adversaries. Yes, security tools and procedures are important — but it's the human-to-human connection that will help us successfully fight and win this battle.